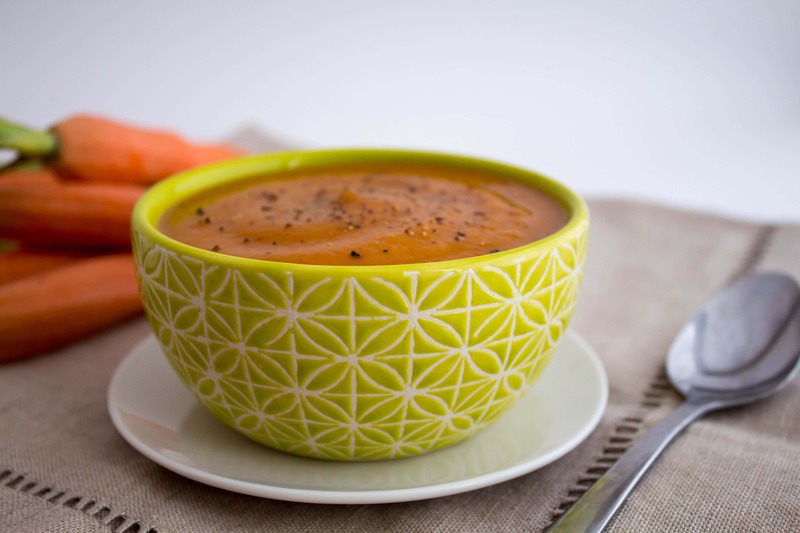 This curried carrot soup is healthy and deliciously flavorful thanks to the curry and creamy coconut milk! It’s vegan, too. 1) Put the olive oil, curry powder, garlic, ginger, carrots, and 1.5 cups veggie broth in a pan on high heat. 2) Bring to a boil, then lower heat to a simmer until the carrots are soft (about 15 to 20 minutes). Near the end of the time, the veggie broth will have mostly evaporated, so pour in the remaining 1.5 cups. 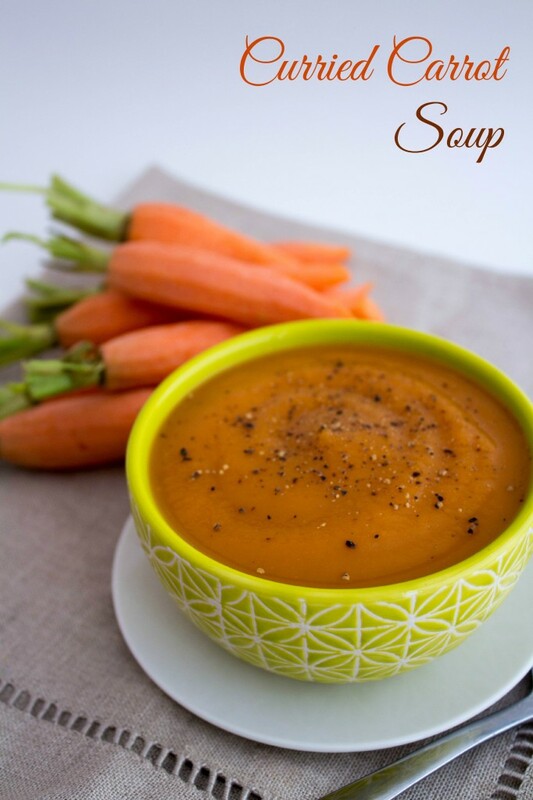 3) Once the carrots are soft, let the mixture cool a bit, then pour it into a blender and puree it! 4) Transfer the puree back to a pot on medium heat, stir in the coconut milk, and serve warmed! Top with cracked black pepper if desired. I made this soup last year and absolutely loved it. Looked high and low for the recipe to make it again this year and finally remembered fannetasticfood was the source. Yes! I can enjoy it again!